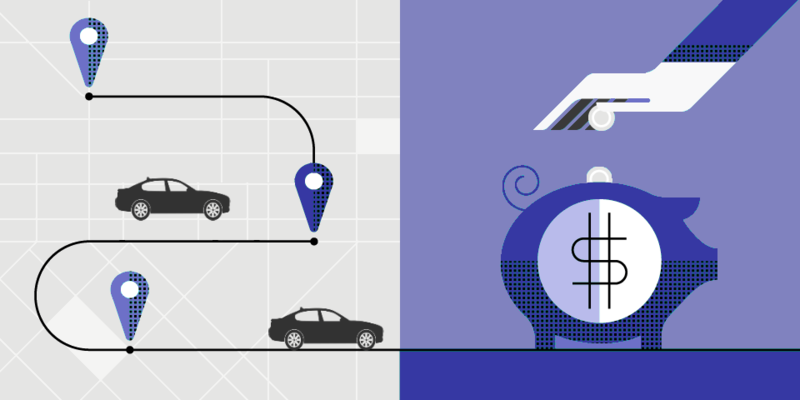 Ever since Uber made its grand entrance, the taxi and transportation industry has undergone a drastic change. Customers no longer wait and try their luck in hailing a cab; all it takes is a few taps on the smartphone. Mobility has become all about speed and convenience and mobile apps are the most suitable way of achieving just that. The first instinct of today’s users is to pick up their smartphones for almost everything. And when it comes to hiring a taxi, it’s no different. Harness the advantage of mobile devices and instant connectivity to capture your customers where they spend most of their time. Earlier, customers had to book a taxi through an arduous process of placing a call to the dispatcher, providing the trip details, waiting for the driver to connect with them, struggling to share the exact location and finally avail the taxi service. Not only is this process inconvenient, but it is highly time-consuming. With an Uber clone taxi app, your customers can book a taxi within a few steps by sharing the location, viewing the driver details and tracking the vehicle location, all in real-time. Usually, taxi drivers lose their business by aimlessly searching for passengers. Through a mobile app, taxi drivers will be automatically assigned to the next passenger and have the liberty to accept or decline a ride. Also, with the GPS feature in place, they needn’t waste their time for asking directions. By improving efficiency, drivers can take more rides per day and subsequently, improve their revenue. Mobile apps include a plethora of features that can be instrumental for a taxi business. The Instant feedback feature allows users to share their ride experience and allows businesses to improve their services. Promotional features and discounts can also be a great way of attracting new customers and building loyalty. Multiple payment options, real-time tracking, daily reports and other innovative features can drastically improve your business performance. With competition soaring high, it is crucial for taxi businesses to have a strong brand image. Owning an app like Uber creates credibility in the minds of your customers. Taxi businesses can provide transparency and let customers assess their services based on the reviews and services. Through consistent effort, taxi businesses can build goodwill and ensure their longevity in the market. Choose an intelligent Uber clone taxi app to harness the profitable advantages of the mobile revolution.